Super C Tablets not only contains 2,166% of the recommended dietary intake of vitamin C per serving, but it is also fortified with rutin, citrus bioflavonoids, and minerals to balance electrolytes and enhance the effectiveness and absorption of vitamin C.* The essential oils that are added may also increase bioflavonoid activity. Vitamin C is one of the most important and well known vitamins required by our bodies. Vitamin C is probably best known as an antioxidant. Antioxidants are forms of molecules that help keep chemical reactions in our body in check. In particular, antioxidants help prevent excessive activity on the part of free radical molecules. Young Living combines camu camu, acerola cherry, and rose hips fruit powder to create this powerful immune-supporting supplement. 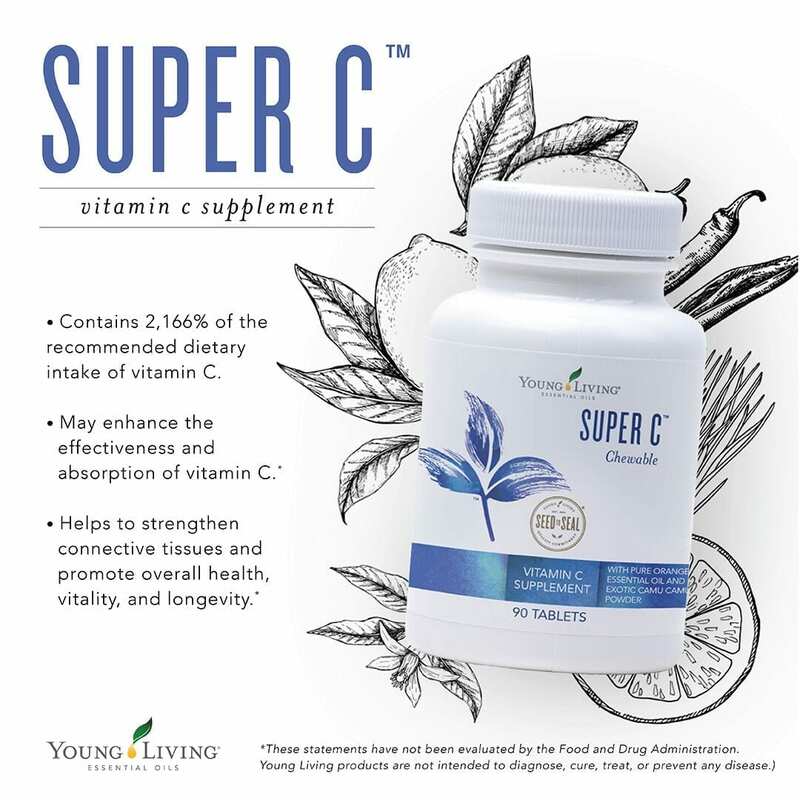 The ingredients in Super C play a role in normal immune and circulatory functions, help to strengthen connective tissues, and promote overall health, vitality, and longevity. * Because our bodies cannot manufacture vitamin C, we can benefit by consuming this powerful antioxidant daily.